It's a tool "for making an object appear transparent." From cloaking devices that conceal spaceships, to Harry Potter’s hand-me-down disappearing blanket, or even the One Ring and its power to conceal its wearer, invisibility is a staple in science fiction and fiction in general. Scientists have been hard at work, however, to bring such a technology into reality. Joining the research and development of cloaking technology is Japanese car manufacturer Toyota. 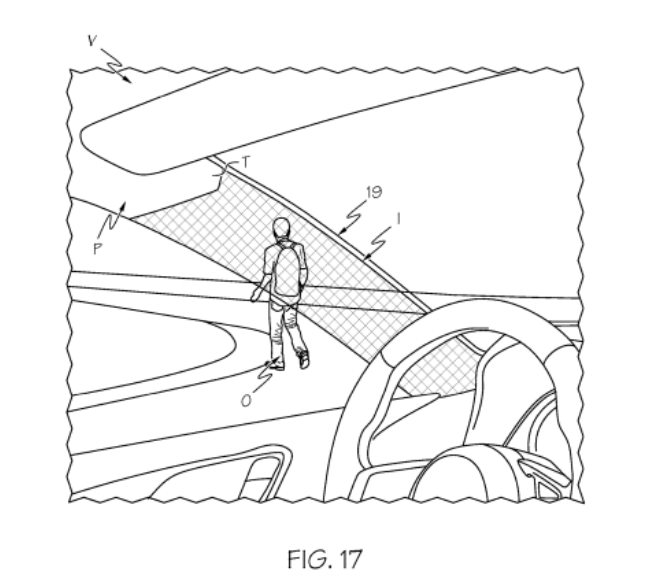 The company recently acquired a patent from the United States Patent and Trademark Office (USPTO) for “Apparatuses and methods for making an object appear transparent,” which Toyota filed last June 17. Seems exciting, especially since it’s a car maker working on an invisibility tech or cloaking device. It actually is interesting, but not because it’s meant to turn Toyota’s cars invisible — well, at least not all of them. The patent describes a cloaking device designed to turn vehicles’ A-pillars to the left and right of the car’s dashboard invisible, improving road visibility for the driver. Seems ironic that a cloaking technology would improve visibility, right? Toyota thinks that it’s the way to go, especially since A-pillars have become rather large following crash-safety standards. The wider they are, the more they end up obscuring a driver’s vision. According to Toyota, such a technology is already possible — like the Rochester Cloak — but it would require video cameras and other expensive equipment for it to work in cars. This cloaking device, on the other hand, would be a less expensive solution. It would use mirrors to bend visible light around the A-pillars to allow the driver to “see” through them. This would give drivers a wider view of the road and their surroundings. It also benefits pedestrians, as drivers would see them better. “Light from an object on an object-side of the cloaking device [i.e., facing the road] is directed around an article [the A-pillars] ]within the cloaking region and forms an image on an image-side of the cloaking device [i.e., facing the driver’s seat] such the article appears transparent to an observer looking towards the object,” according to a description of the device in the patent. Making things “invisible” is all about manipulating light. The other invisibility technologies currently being developed do the same thing, albeit using different methods or materials. For instance, researchers from the Max Planck Institute are working on mimicking the biology of moths’ eyes to turn lenses and glass invisible. Meanwhile, a group from the University of California, San Diego is controlling how light reflects on objects using a thin “carpet cloak” made form Teflon and ceramic particles. All of these studies bring us closer to a working invisibility cloak, or at least a technology which allows us to see through objects by making them bend light — like Toyota’s device. We will have to wait and see.